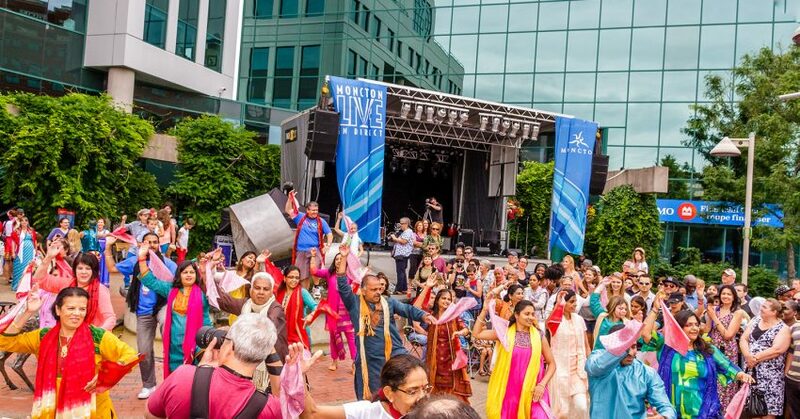 city’s summer festival roster, Mosaïq fills downtown Moncton with the tastes, smells, sights, sounds, and languages of the world, in a celebration of international culture and our region’s increasing diversity. This year, we have 2 full days and nights packed with activities for all to enjoy, so mark your calendars for July 19th and 20th, 2019! Every year a roster of the best local and international performers take to the stage, and this year is no exception: AFROTRONIX, IMARHAN, MIOKAL, Omar Sicilia & KEREYA, Elsy & DJ Milo C , and two headline Performers still to be announced.